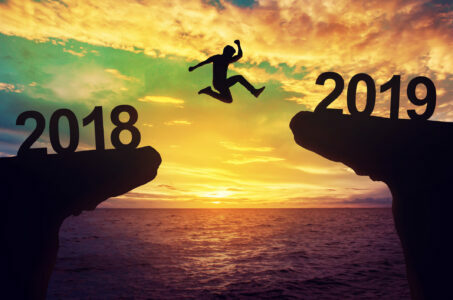 You are here: Home / Business Planning / How’d you do last year? Did you get the things accomplished that you set out to do at the beginning of the year? Most of them? Some of them? Any of them?? Regarding those things successful last year, what made them so? Was it because of me and my leadership, or in spite of? For those I lead, have I appropriately recognized their successes? If we failed to accomplish some of our plans, goals, or objectives… why? Was it because we failed to do something we could have done, or were there really—really–circumstances beyond our control (honesty is important on this one)? For those I lead who performed less than satisfactorily, am I addressing that performance appropriately? While you’re asking questions, how have you performed as a leader? Have you asked anyone… like those you lead? If not, now’s the perfect time. And I don’t mean just “hey, Jane, how am I doing as a leader?” Strangely enough, that might not actually elicit a meaningful response. Consider a 360 survey if you haven’t had one, or haven’t had one recently. I’ve had lots of clients asking for them of late, so something good must be in the water. Alternatively, you can DIY with something simple, like Start, Stop, Continue. What should I Start doing that I’m not doing now? What should I Stop doing that doesn’t seem to help you or others? What should I Continue doing that you feel is positive? 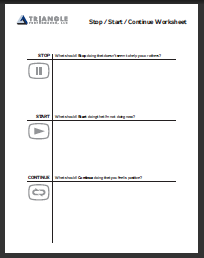 If you’d like a simple worksheet for this, you can download by clicking on the image to the left. And don’t forget to follow up with them in a few months to see how you’re doing with their inputs.